KÖLSCH ON T1000 RADIO THIS FRIDAY! Kölsch is one of the most dynamic and creative producers of the modern age. Continuously driving his sound to new and unique heights, he truly embodies the definition of ‘musical artist’. His albums are eclectic manifestations of his overflowing talent, and now his newly launched record label, IPSO, will be the cornerstone of his 2016. 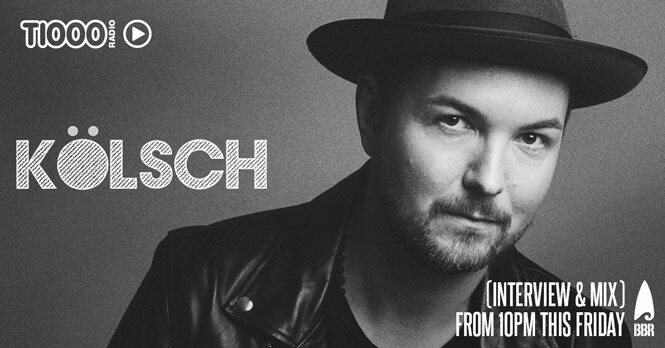 Comments Off on KÖLSCH ON T1000 RADIO THIS FRIDAY! FRIDAY RECORDS SPECIAL ON T1000 RADIO THIS FRIDAY!